You can easily guess what or whom we are channelling in our Halloween outfits this year. There is, at this moment an argument in our house about who is going to have which Ghostbusters name…..we both want to be Spangler and no one wants to be Venkman. It’s now been raging, quietly over 3 days. Today, well I guess I am Venkman. I don’t mind….well I do but I’ll compromise as his boiler suit has arrived with a contrast red collar and my doesn’t. 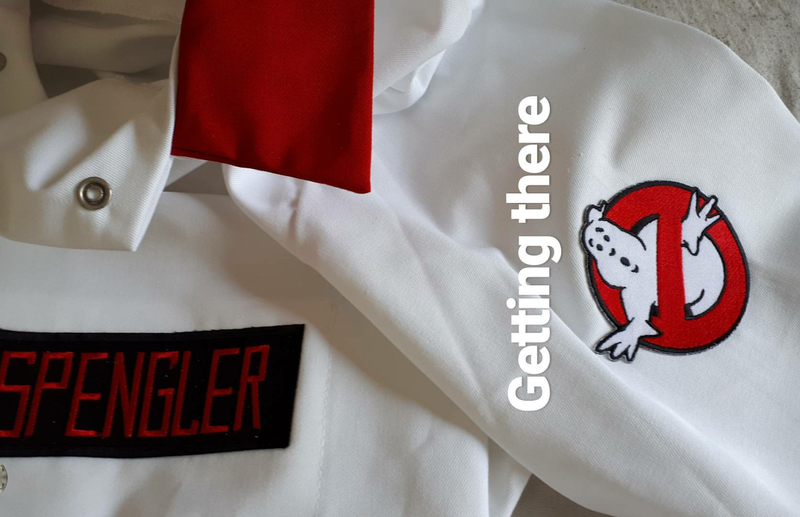 So I’m channelling the Stranger Things season 2 vibes this Halloween (that’s a whole other blog post) my husband and I are going to be Ghostbusters. Our son has been watching the cartoons on Netflix recently along with She-ra (I was not about to dress up as Madam Razz). I hunted down 2 white boilersuits on EBay. This meant I could dye them if need be. I actually wish I had dyed my Venkman outfit, beige but I only had this day in August to get most things done. 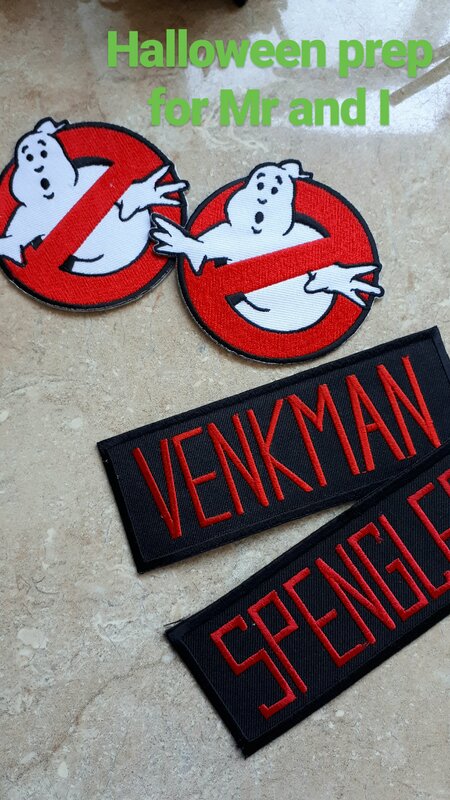 I ordered Ghostbuster logo and crew name iron on patches. My suit is so long so I’ve rolled mine up currently but I’m thinking of taking them up properly so I can run and jump and use the suit for decorating later. Such a parent thing to say. 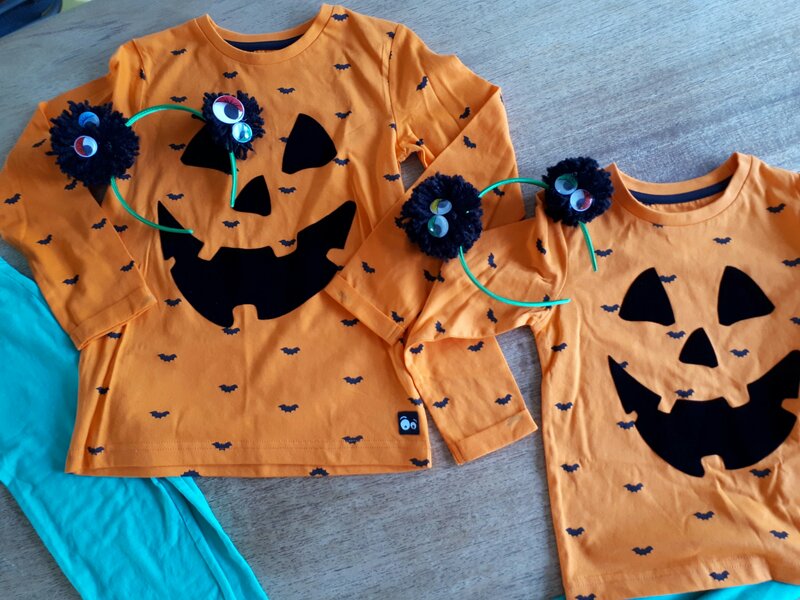 I was on the look out for 2 children’s sized boilersuit in white, to have the kids as Ghostbusters too but my son then decided on pumpkins; I really dislike paper machie. So I copped out and looked for an orange tshirt. I was going to stencil a pumpkin face on but Mothercare had these ones for £5 or a fiver. Nice flock print, soft jersey and bats to boot. Leggings off eBay in green. Might fabric pen bats on those too or spiders. Definitely spiders! Next, a headdress. In our house we love Converse and the second thing we love is Anime films like My Neighbour Totoro or Spirited Away. 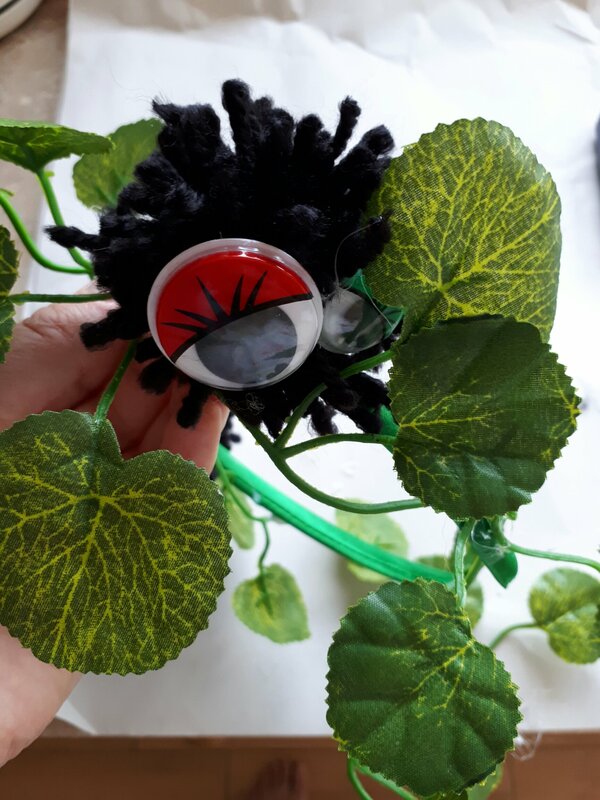 Soot sprites pop up in our house and the kiddos like a pompoms maker so we make googly eyed soot sprites from homemade large pompoms and hot glue gunned on googly eyes. Then hot glue gunned them on to a hairband (99p from EBay) with some artificial, or fake as T says, pumpkin leaves. Also from EBay. EBay is my friend. Done. Happy kids. 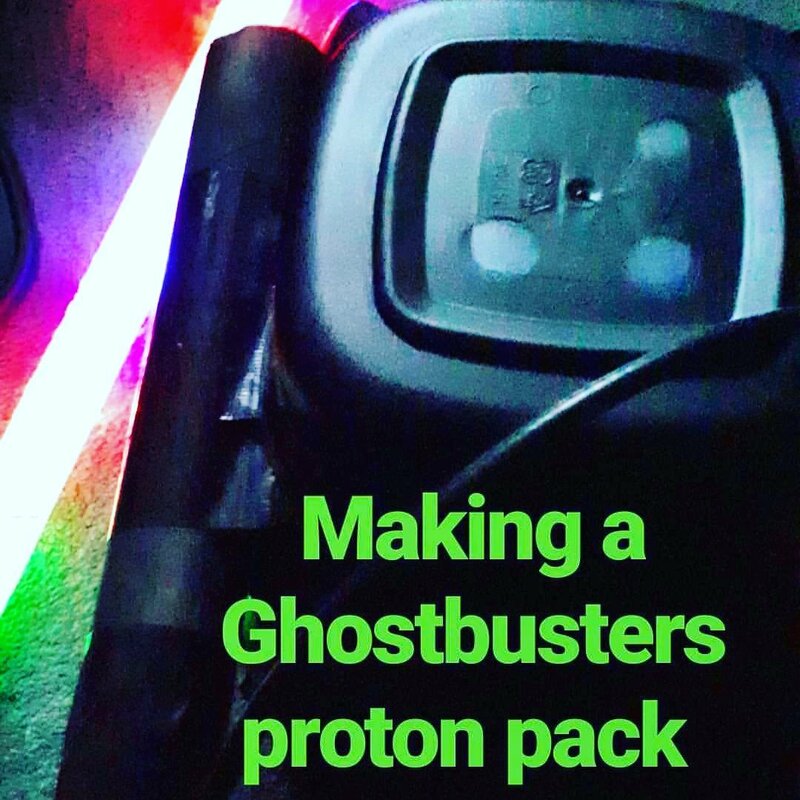 Next we need to make a proton pack……n.b gaffa tape, diet coke bottles and black spray paint makes a good proton pack.